Whether you're buying or selling a home, I'm here to help. I have a rapport with home builders in the area and can help you find the right property so you can build your dream home. I'll be your Trusted Resource for answers about the whole process, whether buying or selling a home. PCSing to MacDill? Click here for an overview of the Tampa Bay area. I offer Real World Solutions for the Upside Down Homeowner. I will Use Innovative Marketing Strategies to Sell Your Home. 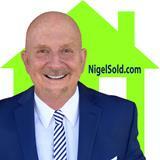 When you sign up with nigelSOLD.com, you can Target your Home Searches to YOUR chosen criteria. I offer Exemplary Negotiation and Communication Skills. You'll get the Support You Need, through the Closing and Beyond. Member of the Greater Tampa Association of Realtors and the National Association of Realtors. Why should I get prequalified for a mortgage?